Cape Town – South African entrant Lion of Africa Vulcan has finished third in the 2017 Cape2Rio Yacht Race. Vulcan completed the Atlantic crossing on January 16, and is the first South African boat to complete the 2017 edition of the prestigious event. An incredible result considering that the Vulcan boat was not designed for ocean crossings. The Cape Town-based yacht, co-owned and co-skippered by Hylton Hale, finished seven hours after second yacht over the line, Black Pearl and was the first South African boat to finish. The Vulcan crew competing in the race as a fat-adapted crew, eating only low-carb high-fat meals and snacks throughout the race. 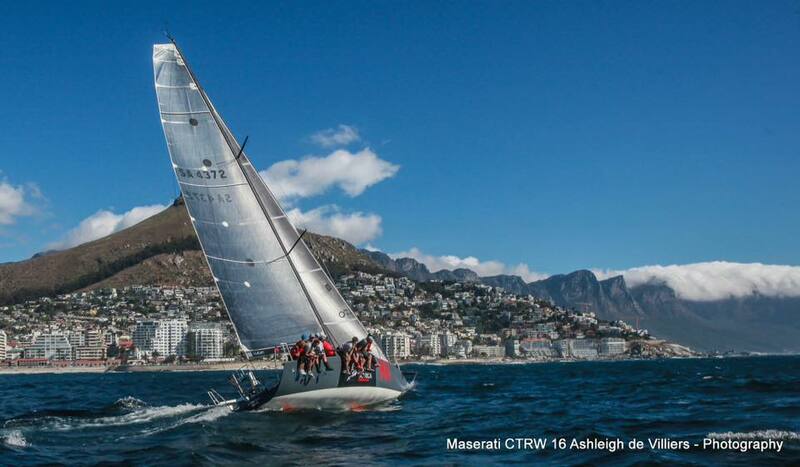 The sailing crew approached the Foundation in the middle of 2016 to discuss their plan to become a fat adapted crew and compete in the Cape to Rio race on a low-carbohydrate high-fat diet. The Foundation provided dietary guidance to the team of disciplined endurance athletes. For 6 months prior to the race each crew member reduced their carb intake and eliminated their sugar consumption. Throughout this period the Foundation, with the help of Pathcare, tracked and recorded a number of their health markers. Before the start of the race on the 1st January 2017, the crew was fat-adapted: a state where their bodies were using stored fat for energy. In this state, also known as ketosis, the body turns into a fat burning, high energy machine. Tamzyn Murphy, a registered LCHF dietitian and researcher for the Foundation, was the person responsible for creating the team’s meal plans. The crew required 6000 calories per day for a gruelling 15 days. Main meals had to be freeze-dried products, reconstituted by the desalinator on board. These meals were supplemented by high energy LCHF snacks – and each meals specific fat-protein-carb ratios needed to be determined. This planning process was challenging due to our heavy reliance on the few companies globally that produce freeze-dried meals. Most of the team’s fat and protein intake came from the snacks that were developed in conjunction with Banting Blvd. Other important aspects to the carefully crafted menu were the oils the crew were supplementing with for extra calories and energy: olive oil, coconut oil, MCT oil and butter are key components to provide nutrients and keep focus and energy levels up. “You are constantly winding winches, adjusting or replacing sails and moving weight around the boat to maximize performance. Even just moving yourself from one area of the boat to another is like doing a full workout. This is where the LCHF eating plan comes in. With thanks to The Noakes Foundation for their assistance with meal plans and advice on how to get the most out of a LCHF eating plan to provide the necessary energy and stamina. [The team] felt constantly energized, physically strong and they enjoyed the effect of this way of eating on their bodies. A few initially skeptical crew members admitted that it worked out way better than they thought it would. A desalinator made fresh water for the boat but another challenge came in as to how to replenish the minerals lost in the desalination process. Potassium, magnesium and a good multivitamin were prescribed by the Foundation to replace what was lost. This was important as a side effect of a lack of magnesium is cramping which nobody wants when you are expected to perform at 150% all the time. Finishing in third place was an amazing achievement for the team given their temporary setback when the crew stopped racing to investigate a distress flare that had gone off in the middle of the ocean. We admire the team for their amazing compassion to put the possible safety of another person ahead of their strong desire to win the race. The team endured a grueling 15 days at sea, surviving and thriving in one of the most challenging endurance events in the world. “The Foundation has absolutely loved the journey of working with such articulate, amazing and inspiring athletes. We are inspired and grateful to have worked with Hylton and the rest of the passionate team”- Jayne Bullen, Foundation manager.